Summit returns March 14 -15, 2017 at the Vancouver Convention Centre. 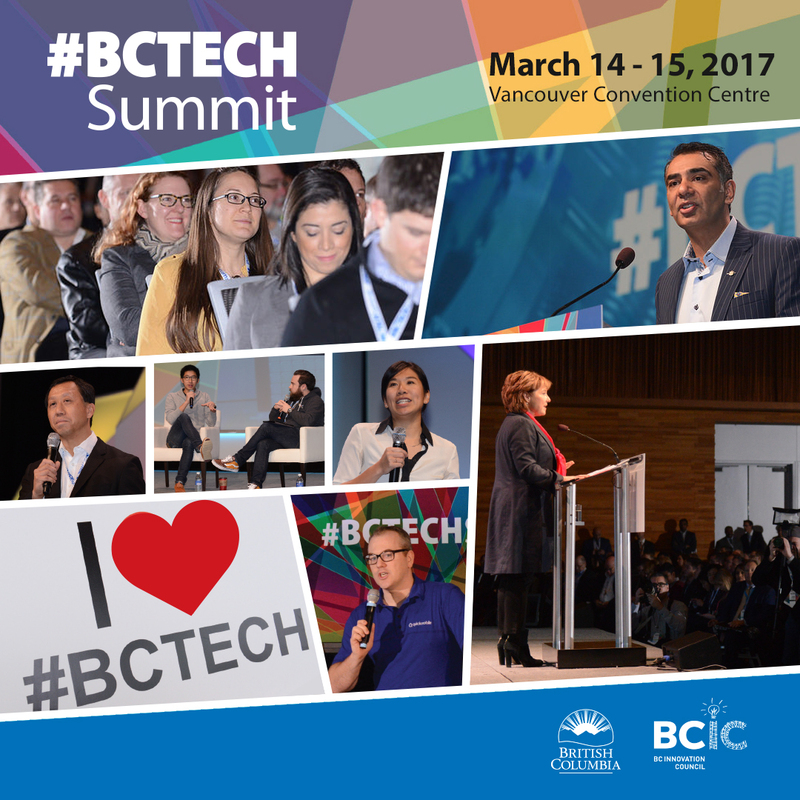 The two-day conference will showcase BC’ s vibrant tech sector, build cross-sector business opportunities and explore the latest ideas and innovations fueling our economy. Impactful session on key sectors, from fintech to agritech to digital health and transportation.Technology is reshaping the way all businesses function and our lives. See, hear and experience BC’s most innovative technologies at the interactive Marketplace,Technology Showcase, Startup Square and Future Realities. Become an exhibit or and meet potential customers and partners in the ultimate networking space! As a community partner, VanWIT has been offered a promo code for $100 off. Get your tickets now using the promo code: VanWIT100. Visit bctechsummit.ca to learn more on how you can be part of two days of big ideas, unparalleled connections and new opportunities to grow your business.